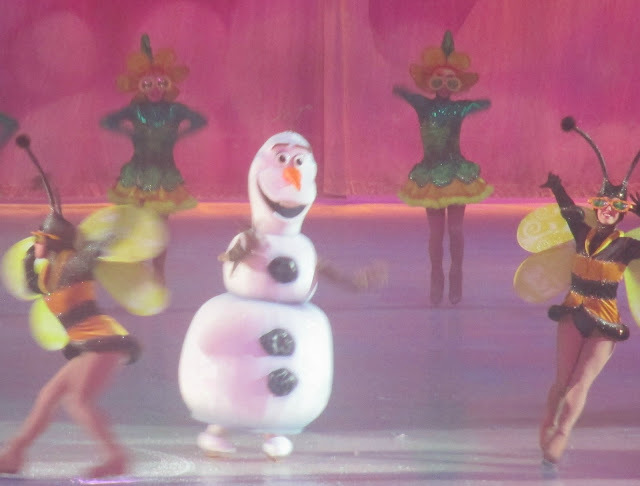 At the weekend we went to see the magical spectacular that is Disney On Ice for their World Of Enchantment show at Barclaycard Arena, Birmingham. We took Jack last year for the first time and he really enjoyed it, but I wasn't sure how it would be with a baby too. Luckily we were placed at the end of the aisle and I had easy access to take her out if needed as to not disturb others, but she was in complete awe with the lights. Back to the show, it was hosted by the ever fantastic Mickey and Minnie Mouse, joined by Donald Duck and Goofy. Jack really enjoys Donald Duck at the moment so he was in amazement. This was then followed by a long scene of Toy Story 3, reenacting the story of Andy leaving for college. The ice is filled with lots of loved characters from the film including a giant Lot-so, Hamm, Mr & Mrs Potato Head, Slinky and Bullseye. I thought Slinky was amazing, I always think the skaters do a fantastic job but to be able to skate and wear a large heavy costume is incredibly talented. This was followed by a short scene from The Little Mermaid, which I always enjoy the songs from. There was a giant costume in this scene, being Ursula and I'm guessing this took some skill to skate with. 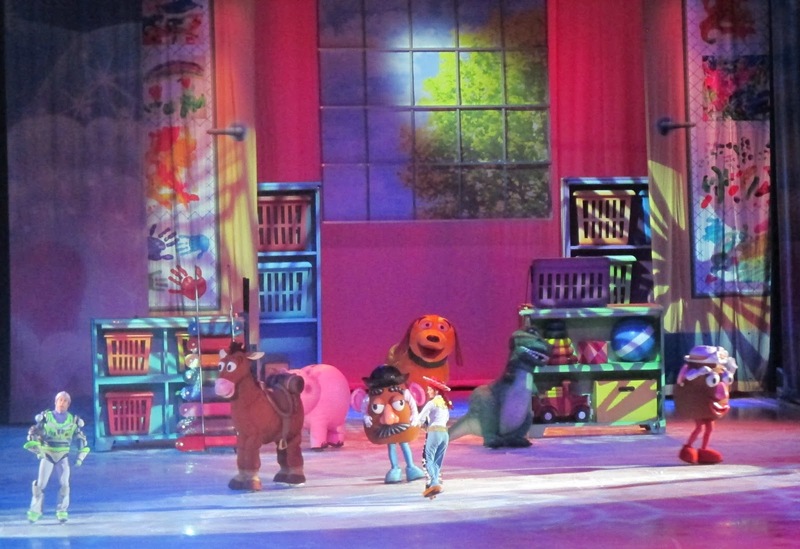 With every Disney On Ice show their is always an opportunity where some children get to ride around on the ice, and this was the scene in which this was done. It was then time for a short interval, toilet break, before being treated to a spectacular second half. Again introduced by Mickey and Minnie Mouse, they begin they set up the scene for the Car's act. This is the act we as adults enjoyed the most, the skill of the actual cars on the ice was amazing! 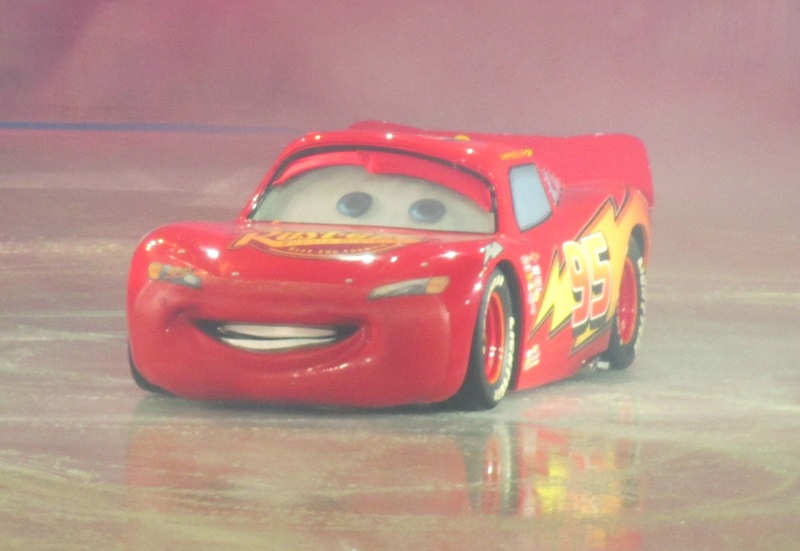 They were real size cars on the small ice stage and somehow managed to not bump into each other. 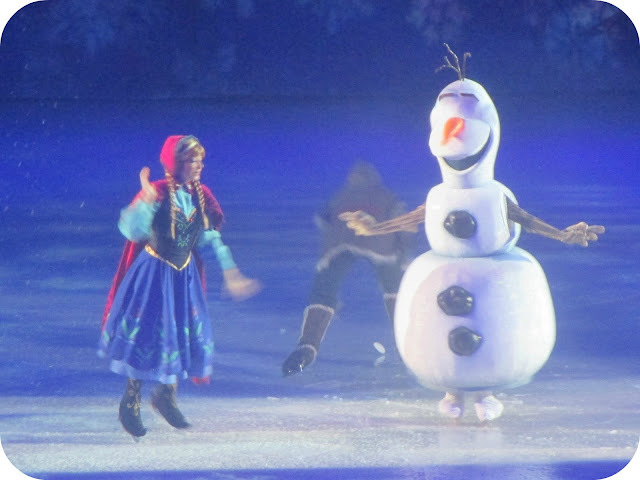 Following this, was every Disney Princesses dream, Frozen although Olaf totally stole the show. With all the well known Frozen songs, everyone was singing along. The scene for Queen Elsa and her ice castle was amazing, with the lighting helping recreate the scenes as well as the artificial snow falling down. I think that this time the show is more aimed at both girls and boys equally, yes there is a big frozen scene at the end but there is also a big toy story scene. I've found other shows to be quite focused on princesses which as boys grow older they don't enjoy. 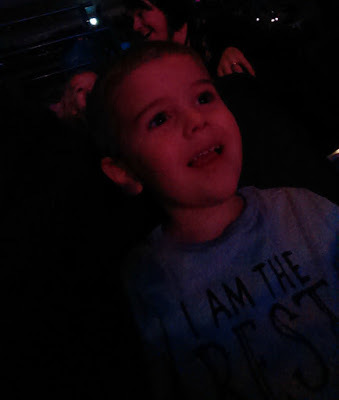 Disney on Ice never fails to give you a little bit of magic, we thoroughly enjoyed the show. It made for a fantastic time out, and can still be enjoyed by you. 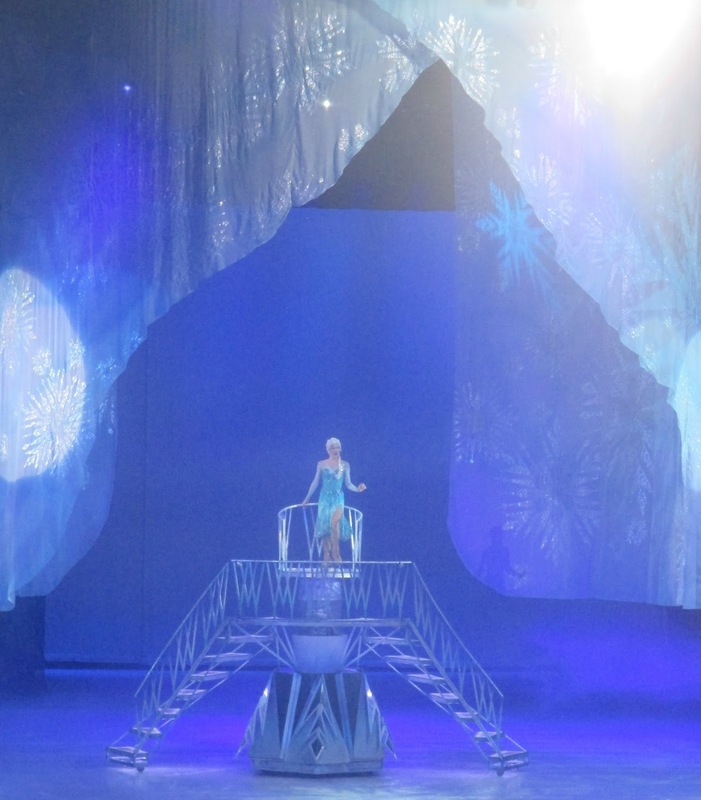 The Disney On Ice World's Of Enchantment Tour is travelling remaining in Birmingham until 1st Nov then moving onto Belfast (5th - 8th Nov), Dublin (12th - 15th Nov), Sheffield (18th - 22nd Nov) and finally London (22nd - 3rd Jan) where it will end it's tour. Please Note: We were provided with four complimentary tickets for this review. All opinions are my own and not influenced.